The first music institute in entire south India, Maharajah Music and Dance College, established in 1918 by Maharajah of Vizianagaram is going to mark its centenary this February. To celebrate this occasion the Vizianagaram district administration is all geared up to hold the 100th Founder’s Day of the college with the oldest music festival of south India. Legendary musicians like Ghantasala, Saluru Rajeswara Rao, P Suseela, Koti amongst others were the students of this college. Iconic musicians and artists like Dwaram Venkata Swaminaidu (violin), Dwaram Narasinga Rao (violin) and Harikatha Pitamaha Adibhatla Narayana Das were the principals of this historical college. On this occasion, the college is inviting every student, who had studied under the trees and practised for hours together, to its centenary celebrations, which will be conducted with grandiose on February 3-5. Grand concerts will be organised during the three days and renown musicians from entire south India are invited to make it grander. 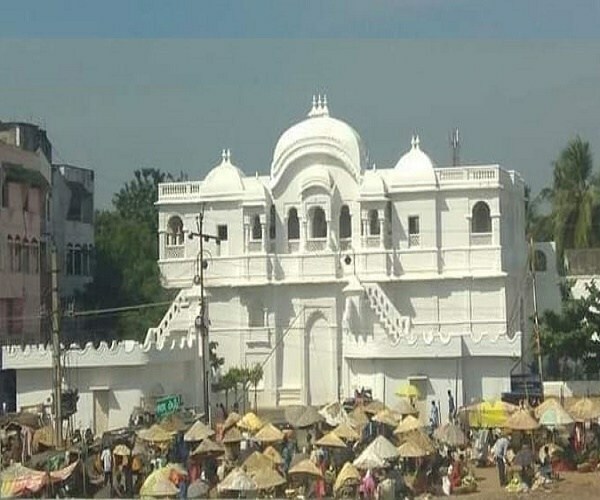 The historical Vijayarama Gaana Patasala was first established by the then, Maharaja of Vizianagaram, Pusapati Vijayarama Gajapathi on February 05, 1919. This was the first college in south India established with the motive to impart education only in fine arts such as music (vocal and instrumental) and dance, as there was already MR Degree College to impart general education. Harikatha Pithamaha Adibhatla Narayana Das was appointed the first principal of the college, stalwarts like Dwaram Venkata Swamy Naidu (Violin), Nedunuri Krishnamurthy and Srirangam Gopala Ratnam (Vocal) worked in this institution and brought glory to it. Saluru Rajeswara Rao, Ghantasala and P Suseela learnt music at this college and gained popularity in film-music. ALSO READ: Is Sanskriti Foundation Making A Decade Of Music, Dance Culture In Hyderabad? Aspiring musicians join this college to excel in their chosen field – Vocal, Instrumental or Dance. At the end of the six years diploma course, their employment opportunities are assured. Since its inception into the government on August 15, 1955, it is popularly known as Maharaja’s Government College of Music and Dance. Many well-known artists from different parts of the country and abroad visit this college frequently and exhilarate and enrich the knowledge of the students with their concerts and performances. The college provides an accomplished and sophisticated education to its students in seven major categories. Students always feel enthusiastic to receive the art in Vocals, Veena, Violin, Nadaswaram, Mrudangam, Dolu and Bharatanatyam. The college also equips the students with concerts by the famous musicians in the main building for their further benefit. As of now, the college operates between 7 am to 9:30 am and in between 4 pm to 6:30 pm. The scheduled time of teaching in the college aims at not disturbing the students from their general education. Duration of the certificate course in the college is four years and diploma course are two years. The college has convenient and seasonable time to facilitate education even to the homemakers and employees as their interest demands. Students learn the courses mentioned in part-time (One Session) and in Full Time (Two Sessions). There are only a few music schools/colleges in our State in some cities only. The schools/colleges in Rajahmundry, Vijayawada, Guntur, Nellore and in Kurnool are also equally famous and working under the Department of Language and Culture. Examinations for certificate and for diploma courses are being conducted under the control of Sri Potti Sreeramulu Telugu University, Hyderabad. The 100 years old college was in dilapidated condition, however, the government-sanctioned funds to facelift it and to rebuilt as it is and to resembles the old heritage. Now the renovation works are going in war foot base and the principal Anuradha Parasuram and others are frequently monitoring the works. “I am very proud to be the principal of this college for which the great men like Adibhatla, Dwaram and others had led. Music lovers, our students have proved their skills in cinemas and in TV shows. Where ever you go, you can find the aroma of this college. Students who learnt Gatram (Vocal) are creating a sensation in TV shows and in Sarigamapa and Padutha Teeyagaa and other programmes being organised in channels. Music has life and the musicians, artists have extraordinary re-organisation and respect in society,” Anuradha Parasuram shared. ALSO READ: Why The BJP' Sudden Hug Has Become Too Tight For The Regional Parties? Burada Srinivasa Rao, an alumnus of this college and member of celebrations committee said, “It’s a wonderful opportunity for us to participate in such a great programme. Ghantasala, Suseela, Koti, Salur Rajeswara Rao and many more musicians have a great association with this college. This college is a platform for upcoming music lovers and to become popular artists. We will organise the 100 years function in a very glorified manner. Definitely, it would be one of the best programmes in this district for the next few years.” The college has been the dais for various music concerts and competitions. Music lovers, artists in various disciplines have been participating in the concerts and entertained the audience very well. Musicians from various States have the heartful of association with this college. On special occasions like Dasara, etc, the college would be decked up with garlands and glorifying electric lights, which adds charm to this traditional building. 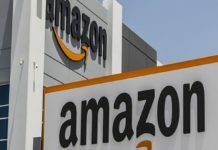 How ‘Amazon Shoppers’ In India Is Getting Fooled By ‘Fake Product Reviews’ On Social Media?